Who's the greatest sleuth since Sherlock Holmes? 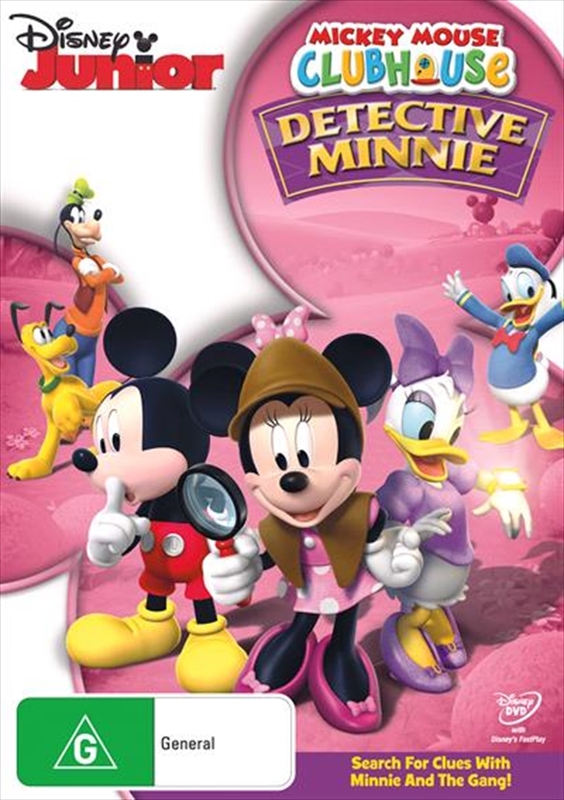 None other than Detective Minnie! Together with Mickey and the Clubhouse gang, she'll get to the bottom of any tricky mystery faster than you can say, "Case closed!" To celebrate Friendship Day, Minnie and Daisy have made 12 beautiful party hats. But when the hats vanish, it's up to "Detective Minnie," "Secret Spy Daisy" and YOU to find them! Follow the trail of glitter and glue, pick the right mouseketools, and use amazing spy gadgets to track down the missing hats and discover who might have taken them - and why! Join the quest for adventure as you laugh, play along, and hunt for clues in three exciting stories packed with surprises, teamwork and fun!